Describing themselves as “digital immigrants,” Ana Kuzmanic, Francesca Nobilucci, Ewan Sinclair and Shona Macnaughton – known collectively as Eastern Surf – are artists on a mission. They’re looking into our relationship with social media, living in the space between virtual and reality, and examining what we do in our new “public realm.” Their latest project, Accept the Mystery, comes to The Northern Charter on Saturday 4th July and will be the first performed in front of a live audience. It aims to explore how social networks both shape and reflect our personal identities in an engaging and hopefully fun way. Ahead of the performance, I talked to Shona about what it’s like to work in the collective, Eastern Surf’s views on social media and what the audience can expect from Accept the Mystery. Can you tell us a bit about Eastern Surf? What is the thinking behind the collective and what’s your ethos? We met during Masters’ studies and the collective was formed a couple of years after we had finished at Edinburgh College of Art. An initially straightforward exhibition proposal for a show in Zagreb gradually formed into an ever-growing collaboration and method which has now spanned across several events, including public performance photo shoots, mass collated video work, ambient sound work, live online TV and gallery based installation. We all have individual artistic practices. As a collective we devise games, which allow us to input individually, in our respective locations, towards an eventually collaborative work. 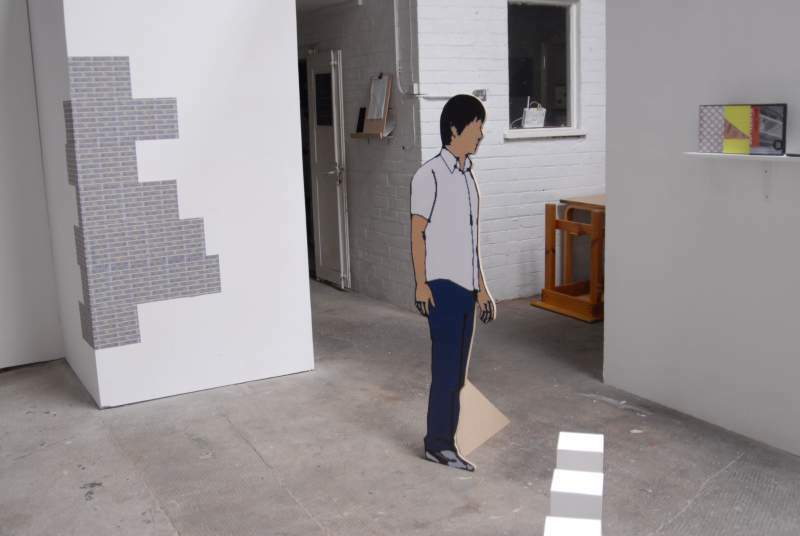 We have developed a methodology of swapping and comparing spaces, where we enter the spaces created by social media networks and user generated software platforms, in a cycle from the virtual to reality and back again. We were interested in our age and status as just on the cusp between digital immigrant and digital native and how that affected our use of technology – we are no experts! Through researching and using specific tools that facilitate our collaborative communication across different countries, we position ourselves as both user and observer. Some of the things we have done have been political in the sense of thinking about the different factors which operate as control mechanisms, affecting the way we and others communicate. We test the parameters of how we understand the “public realm” and how people are permitted to interact with such spaces. 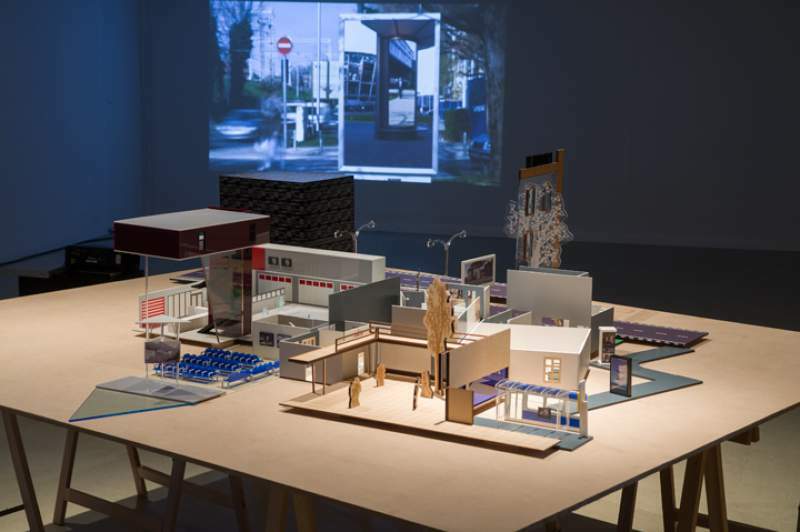 The work is a proposition towards a reclaiming of space as one might experience it now; fragmented, connected, controlled, online, offline, and the line between public and private diminishing. You’re a collective that live in the UK and Croatia; is it ever difficult to work or collaborate when there’s such a distance between the artists? We currently all live in different cities, and rarely get the chance to meet up in person. Most of our work is done via social media or collaborative web tools and in fact our work has in part become about the difficulties involved in this method of working. For example, the glitches that occur during long video chats on overheated computers become translated into how we make and think about our performances, the relationship to reality is intended to produce a glitch. We get much more done when we are able to meet, but all the groundwork is done online and then we have frantic bouts of production for occasions like this event at Northern Charter. How did Accept the Mystery first come about? What initially inspired the production? At the beginning of this year we undertook a research residency at Hangar in Barcelona. During this time we researched the function of language to image in algorithmic culture. We focused on the associations between images which are created by metadata hashtags, the kind of space this constructs for the staging of identity, and the accidental communities and association they result in. It is a work about language and its multi-layered relationship to meaning in this context. This was a development from our most recent work Facing Detection, which was a participative workshop and performance looking at ways of circumventing facial recognition technology. Each participant created their own mask to fool the technology, widely used in security systems. Wearing the masks, we then created an online and physical intervention in a heavily photographed touristic location by geotagging our images and posting them in context with the real tourist images; we were performing selfies in a sea of real selfies. We were interested in how this functioned as a subtle choreography, how our group, although individually recreating images, became a swarm of staged poses. At Hangar we began to experiment with filming small sketches as a group, improvising with objects that we found in the Hangar studios and reading verbatim the texts and comments people attach to their images. From there, back at home in our own domestic environments, we developed a performance form whereby there was more of a focus in attempting to re-enact the images from Instagram visually. The live version at The Northern Charter will be a combination of the two. The title comes from the particular genre of image as text on Instagram, usually containing a self-help message or saying. “Accept the mystery!” came with an exclamation mark. Accept the Mystery will ask some serious questions about our relationship and use of social media; are you critical of social media in the work or are you looking at the positives of the platforms? The motivation for making the performance has not come about from a definitive positive or negative position in relation to social media, it’s more concerned with reflecting a sense of the network as a whole. The production also looks at how social networks shape our identity. What impact do you think social media has had on the way we define ourselves in today’s society? We are obviously not social historians but as artists we are interested in image cultures. We are interested in how what appears to be a mirror of society is also creating behaviour. When you look at the patterns of how people present their lives online, you mostly find highly normative behaviours; positive aspirational affirmations such as the coffee cup shot next to the laptop, the feet from above, the steps to fitness and health alongside darker genres such as documents of surgery, anorexia and self-harm. The question is, do you develop a caffeine habit because you want a coffee or because it looks productive in an image next to your laptop? And does it matter? We are of course also interested in the glitches inherent to this kind of indexing, the things that don’t fit the pattern, the odd anomalies that break the algorithm. Capitalising on our failures and miscommunications has been a running theme in the Eastern Surf body of work. Are you drawing on your own experiences of social media for the performance or are the narratives hypothetical situations? The narratives will be built live from whatever images are being posted on Instagram at that time. We have chosen a set of props from looking at patterns of presentation in Instagram, which will sit as a set in the Northern Charter space. Using our phones to search content during the performance, we will pick hashtags which correspond to these objects, our emotions and even the audience who turn up. We will search for images in Instagram attributed to these hashtags, selecting ones which we are able re-perform in the space with the props. So it will go from the reality of given space of the performance to the online space and back out again. A narrative will unfold live; we are not sure what it will be yet, it will depend on what is available on the day. It will create a hypothetical situation as a whole but the content will be real and crowdsourced. What are you hoping that the audience will gain from seeing Accept the Mystery? This is something we will find out by doing the performance. We have never performed with an invited live audience before; any previous audience we had was purely accidental. So it is a bit of an experiment and partly a step into a new way of working for us. But we of course hope it will be engaging, odd and fun, and communicate some of the content and questions which have brought it to fruition. What will Eastern Surf be working on next? We hope to develop the performance further in future, responding to whatever this event throws up. We are also working on an online version. Accept the Mystery comes to The Northern Charter, Newcastle on Saturday 4th July.